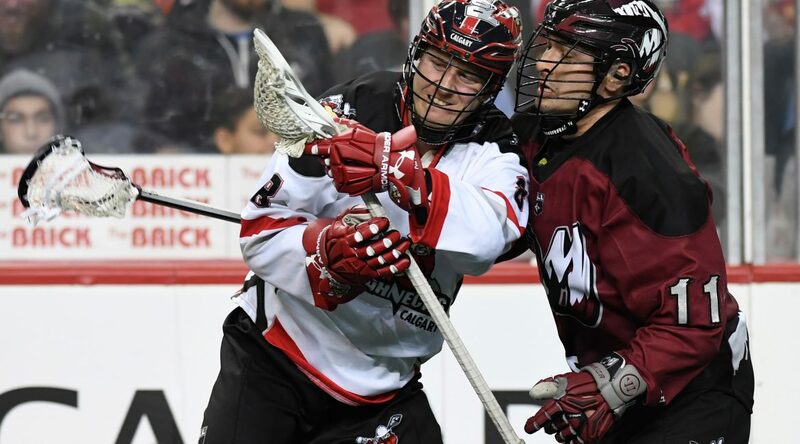 Despite a strong start, the Calgary Roughnecks fell 11-7 to the Colorado Mammoth in front of 9,555 fans at the Scotiabank Saddledome on Friday. Tied 4-4 after the first half, the Roughnecks (1-2) were outscored 4-0 by the Mammoth in the third quarter. Ryan Benesch helped the Mammoth (3-0) ruin Calgary’s New Year’s Party as he finished with five goals and three assists. Wesley Berg scored twice and had two helpers for the Riggers, while Riley Loewen finished with two goals. Dane Dobbie scored once and set up two others, while Holden Cattoni and rookie Ryan Martel also scored. Tyler Digby finished with three assists. Eli McLaughlin had two goals and an assist for Colorado, while Jacob Ruest, Jordan Gilles, Brad Self and Stephen Keogh also scored. Mammoth goalie Dillon Ward was strong between the pipes as he stopped 40 of 47 shots he faced. The Mammoth went 5-for-7 with the man advantage, while the ’Necks scored three power-play goals on five chances. The Riggers hope to start the New Year on a more solid note when they travel to Buffalo to play the Bandits on Saturday, Jan. 6. “We have to focus on what we need to do to be prepared for Buffalo,” Malawsky said.